As always, there is a lot to share with you from Human Solutions. As you know, our work feels urgent right now, with so many people impacted by the housing crisis. There is some great and useful info in this month’s eNews, but I invite you to first take a minute (or seven) and hear Becky Blanton’s personal story of falling into and climbing out of homelessness. It’s a powerful story and includes a very important ask of viewers: see people for all that they are, not just their current housing situation. “The Year I Was Homeless” is a powerful seven-minute story that we think is well worth your time. In her 2009 TEDGlobal talk, Becky Blanton shared her personal experience becoming homeless, being homeless and getting back on her feet. Eye-opening, real and hopeful, Becky’s talk invites everyone to see people differently – especially those around us living in poverty and experiencing homelessness. YOU’RE INVITED! 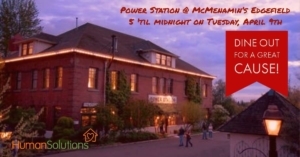 Dine Out for a Great Cause – at McMenamins! We hope you’ll mark your calendar to grab a bite to eat with us at McMenamins' Edgefield on Tuesday, April 9th. All are welcome, including kids! 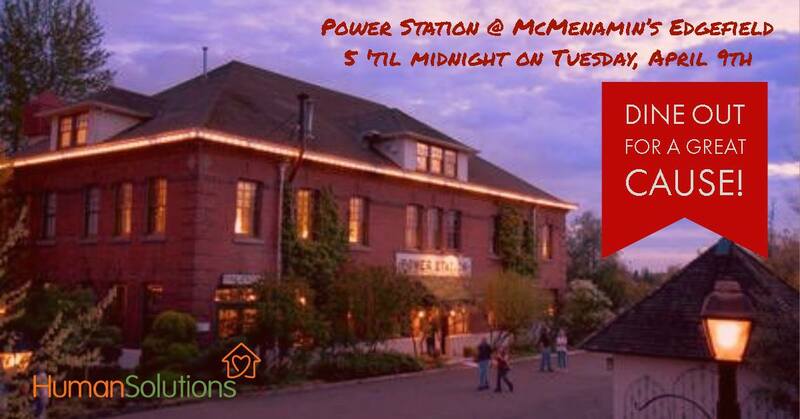 McMenamins will donate 50% of the evening’s proceeds from the Power Station Pub to Human Solutions (thank you, McMenamins!). A fun way to support a good cause. Human Solutions management and staff will be there to welcome and visit with supporters. We hope you can make it! Volunteer with Human Solutions! Serve a Meal In Our Shelter. At the top of our list for volunteers right now is to cook and serve a meal at our Gresham Women’s Shelter. 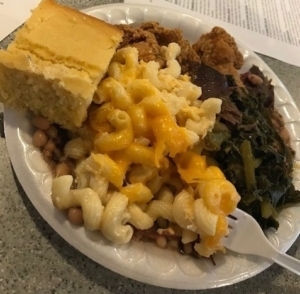 It’s a wonderful way to lend a helping hand and connect with shelter residents who are always happy to eat what our volunteers bring. 90 women (and their pets!) stay in the shelter every night, and feeding them three meals a day is something we depend on the community to help with. If your interest is peaked, please get in touch with our awesome shelter volunteer and donations coordinator, Christina (by email or phone: 503.278.1637). She’ll fill you in on how it works – and get you signed right up if you’re ready! 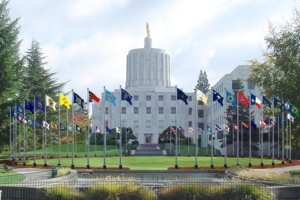 Our state legislature convened in late January and within a matter of weeks has passed a new tenant protection law that will prevent extreme rent increases and limit no-cause evictions. These are two landlord actions that have long been hurting renters’ budgets and in some cases causing homelessness, as well as driving rents up across the state. Human Solutions supported the new law (SB 608), but we do not think it is enough to solve the state's deep housing crisis. To do that, we’ll need more housing, more affordable housing and more tenant protections. 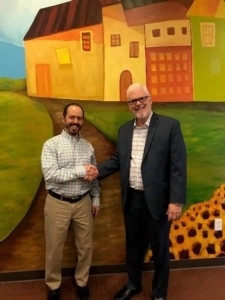 Read more from our Executive Director, Andy Miller, on our web site. 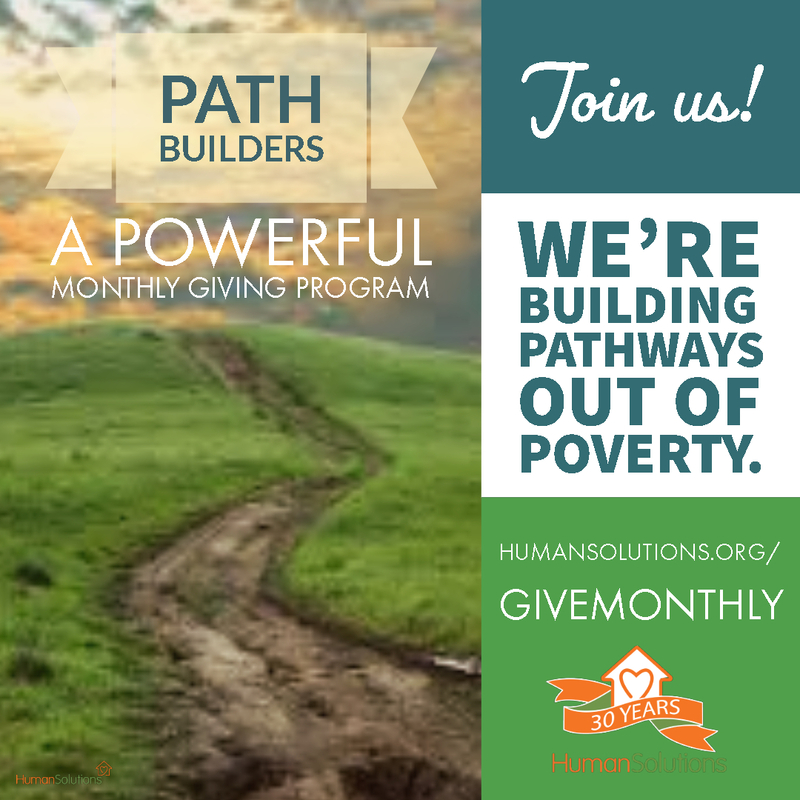 Monthly Giving @ Human Solutions: Become a PATHBuilder Today! 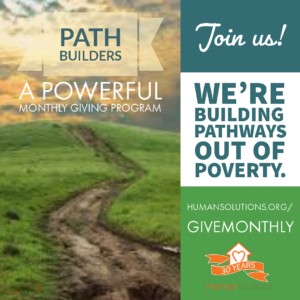 We are excited to roll out our PATHBuilders program! This powerful monthly giving program is an excellent way for you to conveniently support the work Human Solutions is doing to help people in our community get back on their feet. If you, like us, believe that everyone deserves a safe and stable place to call home, this new program is a great way to be part of the solution. Sign up today! Thank YOU, as always, for reading – and especially for caring about those in our community experiencing the devastating impacts of poverty, homelessness and the broken policies that land them there.